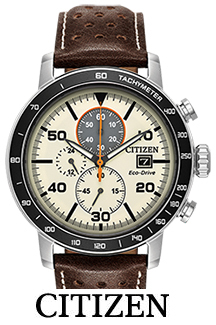 We have the largest selection of Citizen watches in the area for you to choose from, or we can order you any model that you'd like. Come visit our store to review our inventory, or visit the Citizen site and choose from over 300 watches! 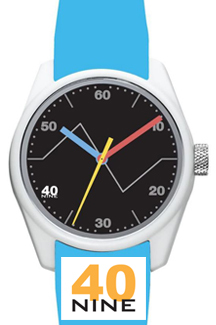 Come check out our new and exciting line of 40 Nine watches! Nigrelli's Jewelry offers a line of Swiss made quartz and mechanical watches with our name on the dial. They are made of the finest cases, bands and Swiss jeweled movements. 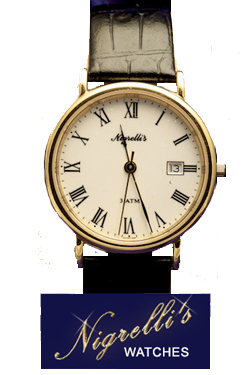 With any Nigrelli's Jewelry watch we have an ongoing special which includes a free battery for life. I always feel so welcomed when I walk into Nigrelli's. They have the nicest quality of jewelry, and they're very accommodating.